OptiGlanz is the #1 product for cleaning stainless steel rims, exhausts and anything else stainless steel! Simply spray it on, wait 1-3 minutes then wash it off with clear water. Don't let cleaning your down pipes become a long winded chore! Guaranteed to brighten up the appearance of your motorcycle whether it's a custom cruiser or an everyday commuter. 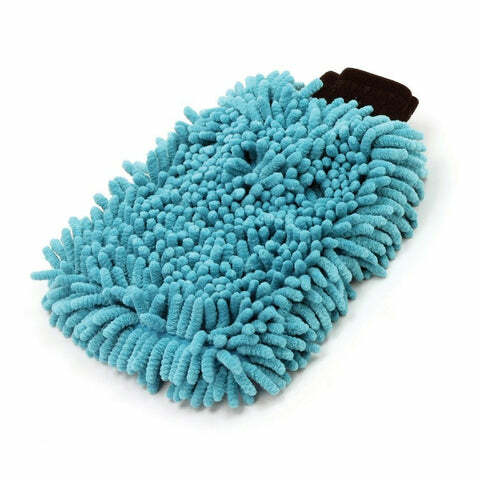 Order alone or with a Claw brush to make exhaust scrubbing even easier. 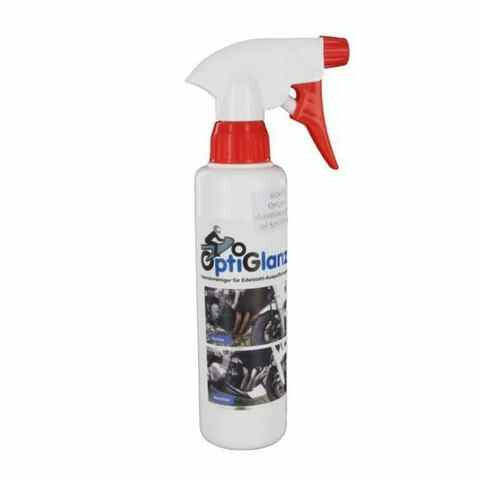 Optiglanz are a Swiss brand providing the best in vehicle cleaning products., with their most popular own name Optiglanz stainless steel cleaner leading the way in exhaust and steel rim cleaning. Making cleaning & polishing your machine quick and easy! Regal Magpie Spray Polish & Degreaser is the newest and best multi-use motorcycle care spray on the market! Supplied in 500ml aerosol can. 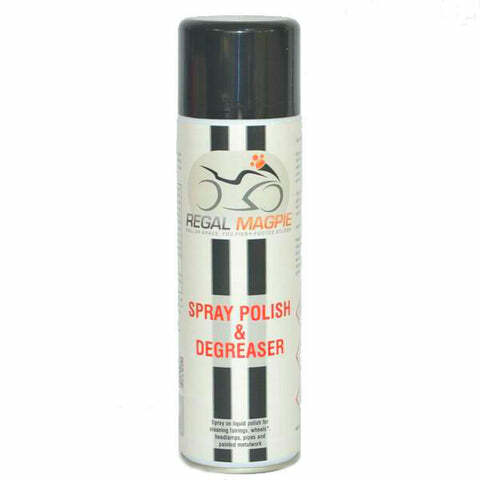 The Regal Magpie team originally designed this spray to easily remove grease and chain lube from swingarms, wheels and fairings; but has since been developed and perfected to both remove grime, and any part of your bike shine again! Buff the cleaned surface with clean lint free cloth for a gleaming finish! Note: Always test a small amount of the spray on a discreet area of the surface that is to be cleaned, to ensure that there will be no un-wanted reactions. Caution: Do not apply to hot surfaces, or any friction components e.g brake discs, control levers. A newcomer to the scene of motorcycle cleaning products, Regal Magpie is already establishing a name for itself thanks to it’s small but effective range of bike care products designed to save time cleaning giving you more time to ride. 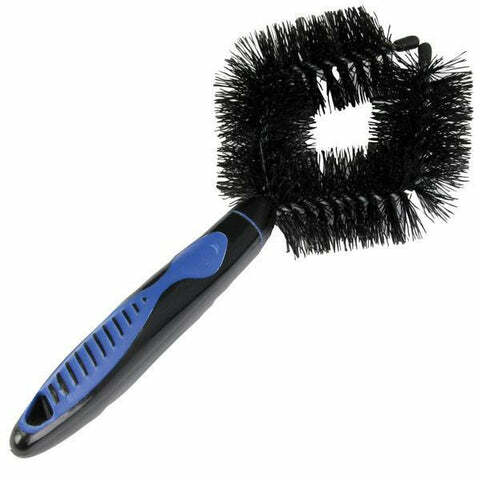 Nylon Bristle brush featuring open-end enabling all-round cleaning of wheels forks, swinging-arms etc. 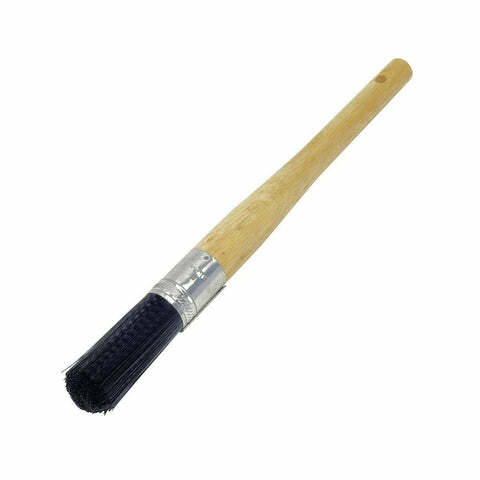 Soft Bristle Brush head set on a wooden handle, perfectly suited to cleaning more delicate engine, frame and electrical parts. HIGH POWER DE GREASING AGENT - Specifically designed and blended formulation, for removing grease and dried oil build up from your chain, sprockets, spindles, engine components etc. Useful for soaking heavily soiled parts to remove all dirt, specially suited to cleaning wheel rims from 'tyre fling'. 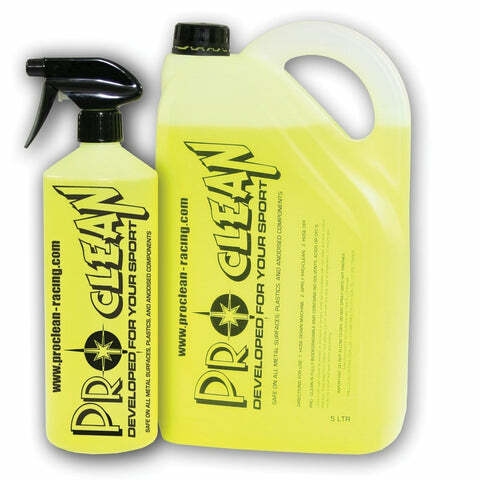 With years of experience in the industry Pro Clean have established themselves as a top provider of all things cleaning, with a huge range that covers every cleaning fluid you could need whether you ride road, track or dirt. Parts washers are the perfect addition to any motorcycle enthusiasts' workshop or garage, Allowing you to carefully clean any component or part with ease thanks to the electrical pump which feeds de-greasing fluid through the directional nozzle to soak the part and wash off any oil or grime. 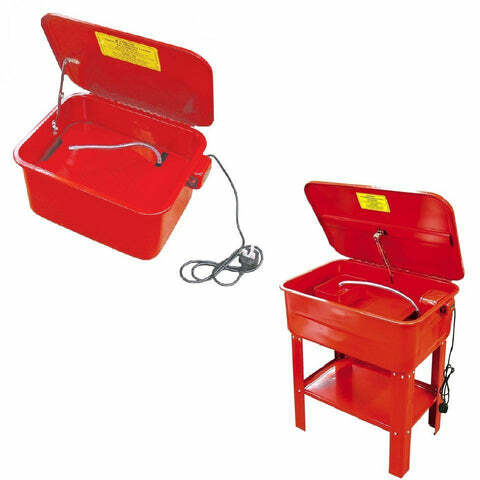 BikeTek Washers are available in two sizes, the compact 3.5 gallon worktop unit and a larger 20 gallon stand alone unit. 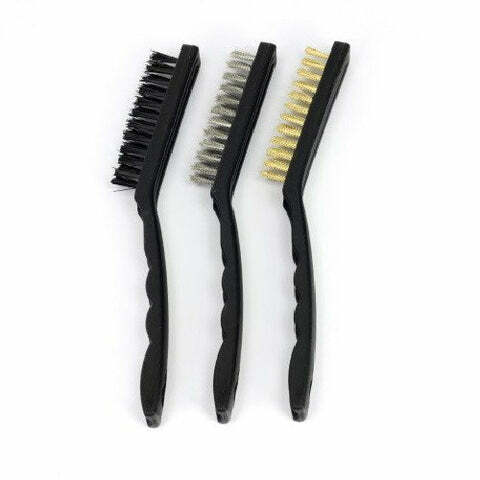 Set of three workshop brushes perfect for cleaning and maintenance of motorcycle engine and frame parts. 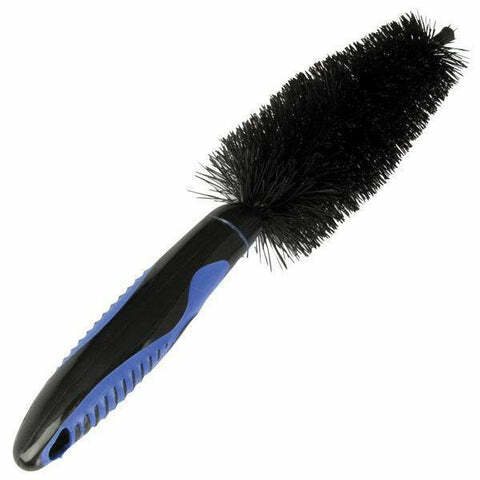 Includes one nylon bristle and two metal bristle brushes. DEVELOPED FOR YOUR SPORT - Pro-clean is a unique blend of biodegradable chemicals formulated to clean every exterior part of your machine. The intelligent chemical formulation releases the correct level of active cleaning agents to ensure perfect results every time from mud coated enduro and motocross motorcycles, to precious metals and carbon components of delicate race cycles. 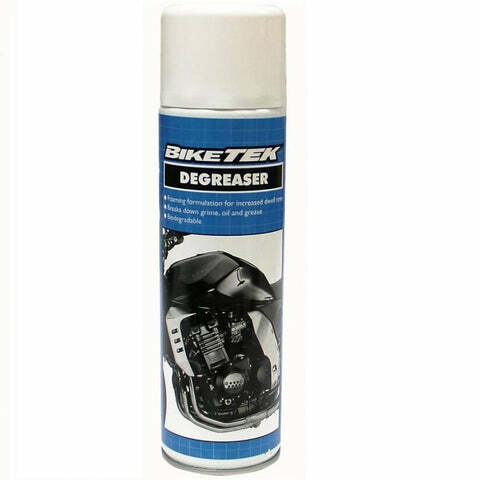 The ultimate all round cleaning product for your motorcycle! DEVELOPED FOR YOUR SPORT - Pro- clean is a unique blend of biodegradable chemicals formulated to clean every exterior part of your machine. The intelligent chemical formulation releases the correct level of active cleaning agents to ensure perfect results every time from mud coated enduro and motocross motorcycles, to precious metals and carbon components of delicate race cycles. 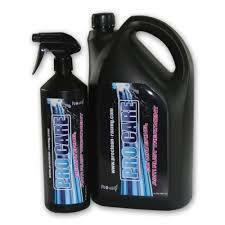 The ultimate all round cleaning product for your motorcycles', engine, wheels, fairings, chain etc. 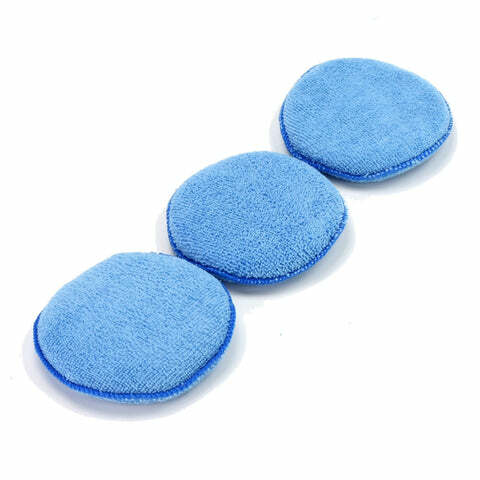 Microfibre pads for application and removal of finishing wax, machine washable for ease of use and extended life span. 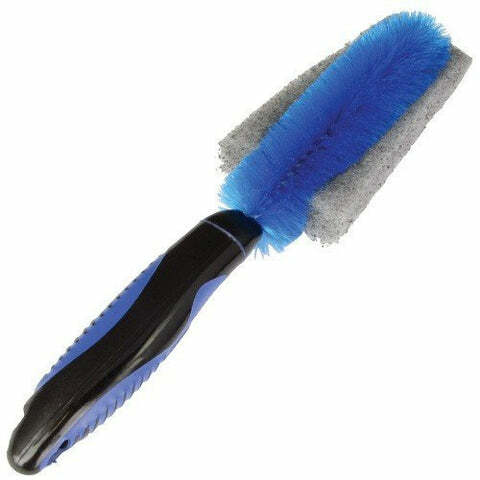 Tapered Nylon Bristle brush design makes cleaning wheels and other awkward parts easy and effortless, without all the usual finger snagging. All the essential cleaning products from Pro Clean in one huge kit. The biggest and best cleaning pack on the market, with an affordable price tag. Perfect for a race weekend, or track day, to keep your motorcycle looking its best at all times; Whether its off-road or on road be prepared with this kit! SILICONE FREE NON-ABRASIVE POLISH - Super polish is a rich silicone free polish designed to work on any surface or material including paint work, plastics and aluminium. Simply add to a small area with a dry lint free cloth and buff to shine. Avoid contact with gripped surfaces e.g. seat covers as is hard to remove from textured areas. Easy to use shining, for your pride and joy. Pro-Range Kit includes everything needed to polish stainless steel & aluminium to a flawless high shine finish, using a hand-drill or polisher. 3 grades of polishing compounds and mops take a surface in every stage from scratch removal to finishing polish. Useful kit for those who like their motorcycle to gleam in the car park! 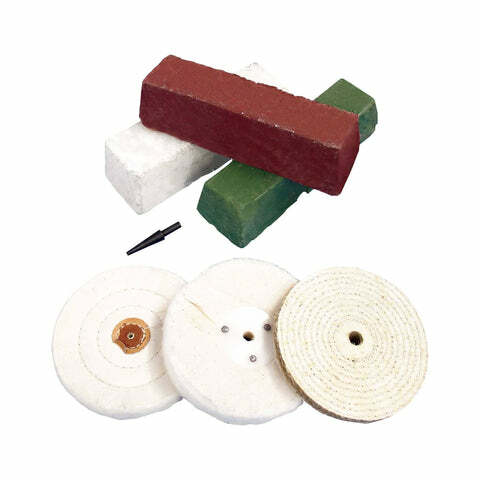 Kit for use with electric powered polishers and hand drills. 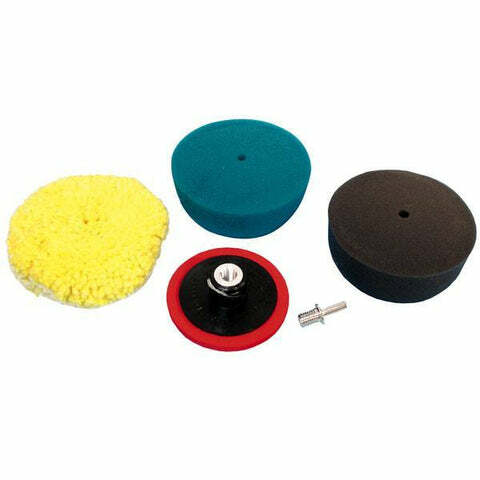 Includes a selection of foam and wool pads to polish metal and plastic surfaces and components, using cream and paste type polishes. Pads are interchangeable and fully washable allowing for more than 80 re-uses and extended life span. 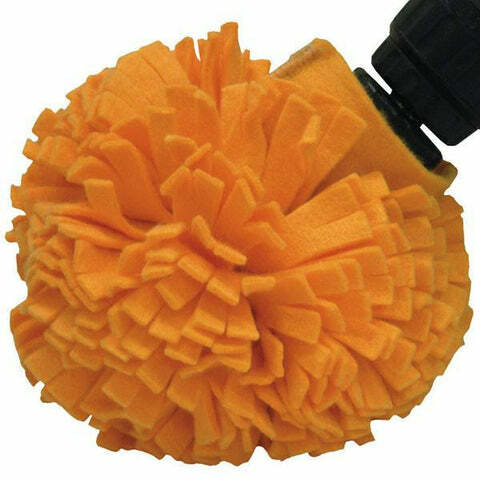 Soft textile make up polishing ball, to fit to any hand drill and allows access for deep reach cleaning. 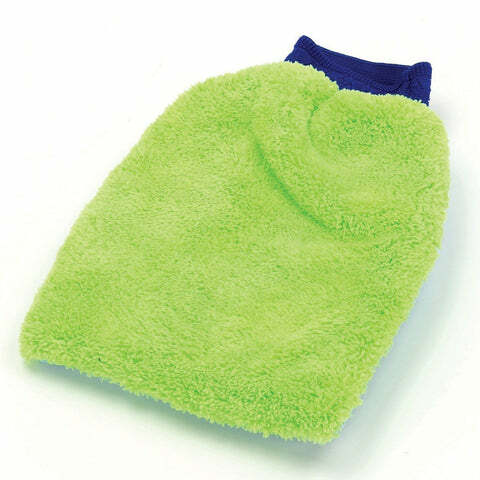 Washable construction for multiple uses and extended life-span.